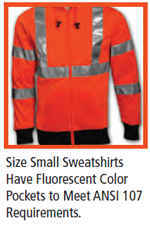 Are you just looking for a light, added layer for comfort on the job? The Class 3 High Visibility Crew Neck Sweatshirt from Tingley may be the right choice for you. 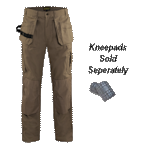 It’s a simple, but comfortable choice, and available in a fluorescent yellow-green, and orange. 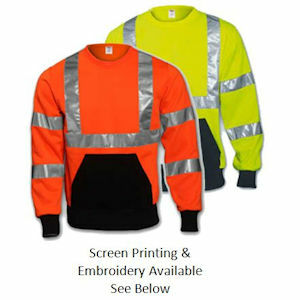 These crew neck sweatshirts offer a convenient way to increase your visibility and improve your safety on the job, so you will want one today. They’ll make safety a little more convenient.